Social media is a great way to get your business connected to the rest of the world, it is a free and instant way to share news, communicate with friends and customers, meet people and publicise updates on your businesses products or services. Students participating in the School Enterprise Challenge have used social media to give recognition to their award winning students, teachers and businesses. Other business used social media in order to spread the message of the business for free (resulting in more sales and profit!). Schools have used it to organise their young entrepreneurs, get instant feedback and even contact the School Enterprise Challenge team with updates on their business! One School Enterprise Challenge school decided to offer their social media skills for sale as their business, using it for more than just advertising! Page INC from Chinmaya Vidyalaya, India is a great example of the expanding potential of social media. Two of the biggest examples of social media are Facebook and Twitter, Facebook has over 1 billion users worldwide and Twitter has over 302 million users sending 500 million tweets every day! The School Enterprise Challenge runs mini competitions throughout the year involving social media, a great way to get involved is by starting a blog for your business! Blogs are a great way to update people on the progress of your business and can be written for people who are already interested in the business and/or to attract new fans. Blogging not only keeps your business fresh and relevant, it also helps drive Internet traffic towards your business! 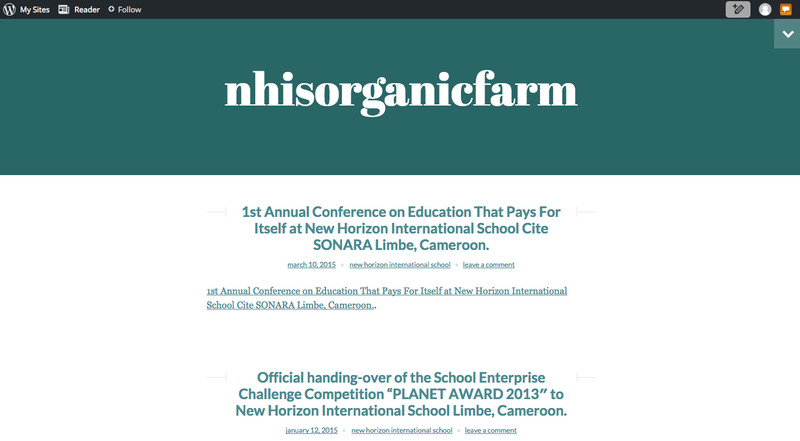 Previous successful blogging businesses include NHIS Organic Farm from New Horizon International School, Cameroon who won a School Enterprise Challenge mini competition for their extremely detailed yet succinct blog updating everyone on their progress. Blogs are also a great platform for linking to other social networking sites, many successful businesses will link a detailed blog to more short and punchy posts or public discussion on Facebook and Twitter. 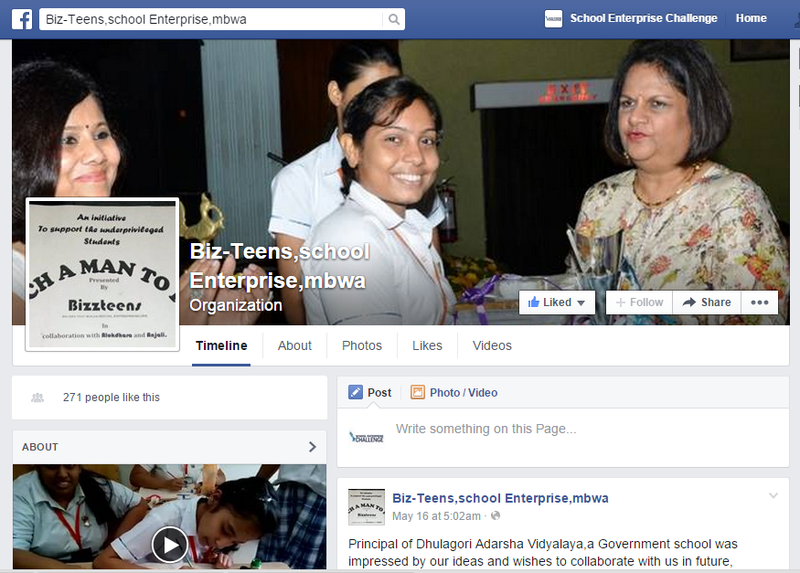 The Facebook page of KIIT School to keep fans updated and to attract new fans! Facebook is the most popular photo-sharing website on the Internet. There are features on Facebook that allow users to ‘tag’ someone in a photo, specify where the picture was taken, caption the photo and have direct comments on it. The School Enterprise Challenge also occasionally runs mini competitions through Facebook, so get involved for a chance of winning! Facebook also has a hugely popular poll feature, this allows for immediate and specific feedback from fans and friends on anything you want, a great and very successful method of gauging opinion whilst marketing. There are many other social networks to chose from including Twitter, YouTube, Tumblr., Flickr and Vimeo. Social media is a great way for a business to attract new fans, keep current fans interested, gain bonus points in the competition and win School Enterprise Challenge mini competitions, so get involved in social media today! To find out more about how to use, and the benefits of social media, please see the School Enterprise Challenge Extra Resource; “How to use social media”. So what are you waiting for? Start using Social Media for your business today! This entry was posted in Uncategorized on June 4, 2015 by School Enterprise Challenge.